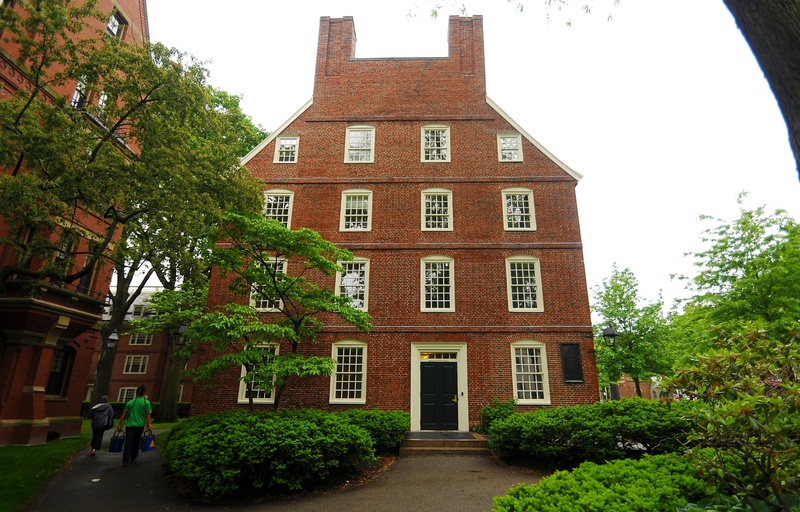 Challenges facing Harvard graduate students who seek to unionize came from a new source Wednesday at a Graduate School of Arts and Sciences student government meeting, when the first public sign of student opposition to the movement cropped up. The student unionization effort, months in the works, has gained momentum in recent weeks, even though University President Drew G. Faust has indicated that she does not support it. Student organizers have partnered with the United Auto Workers Union, launched a website, and continued their push to recruit new members. Their efforts follow graduate student unionization movements at peer universities. 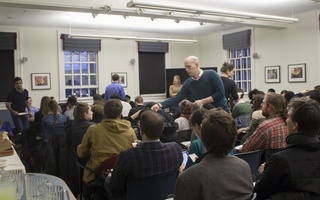 Still, despite that progress, some graduate students voiced concerns about a lack of information surrounding the unionization effort on Wednesday at an unusually crowded Graduate Student Council meeting in Dudley House. 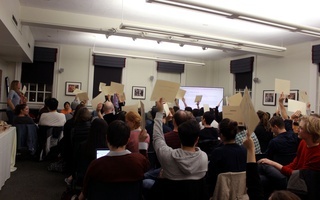 Jae H. Lee, a third-year graduate student in the Physics department, proposed that the Graduate Student Council organize two committees—one in favor of and one opposed to unionization—to educate potential union card signers about the movement’s pros and cons. Despite pushback at the meeting, members spearheading the unionization effort promoted an upcoming nationwide event for graduate students around the country to declare “collectively that We Are Workers.” They also tried to recruit graduate students to sign call cards. Abigail Weil, another member of the unionization effort, urged people to commit their support to the effort. Teaching Fellows of GSAS, Unite! If Harvard administrators are so afraid of the idea of unionization in the context of how it would affect the University’s academic ideals and institutions, then that should be reason enough for change.